The Tao Te Ching translated into Dudeish – Newly updated and annotated BREAKING NEWS! 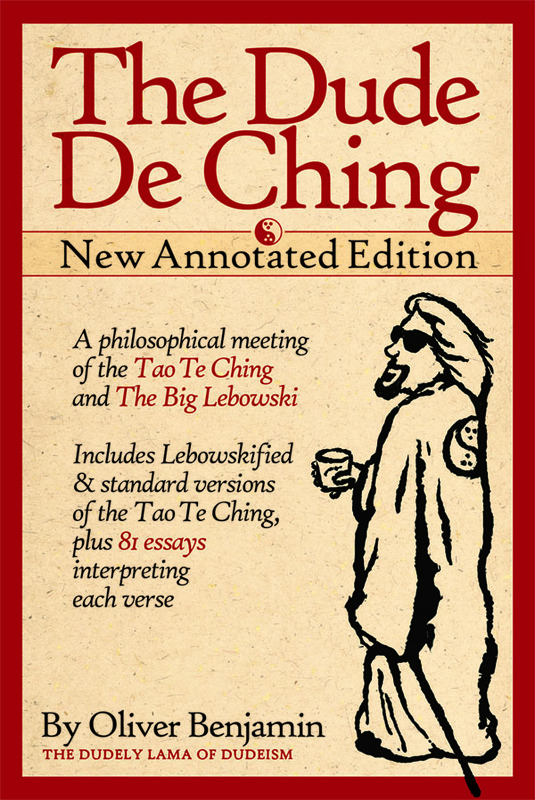 We’ve come out with a brand new version of The Dude De Ching featuring 81 essays explaining the meaning behind each verse and showing how Taoism and Dudeism are closely related. You can get the print and ebook versions at Amazon.com. Meanwhile, the ebook version of the original unannotated Dude De Ching is now free. You can download it directly at these links: Kindle and Epub. Note that the print version of the original edition is still available on Amazon. Every religion needs to have a holy book. 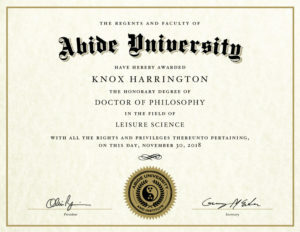 Christianity has the Bible, Judaism has the Torah, Buddhism has the Dhammapada and Scientology has its Dianetics. Of course, we too have a tome that you can use to really tie your head together, and it’s called The Dude De Ching. It’s basically a translation of the Tao Te Ching (the holy book of the Taoists), only it utilizes lines from The Big Lebowski to transform an ancient and challenging bunch of philosophical poems into the parlance of our times. Now you can die with a smile on your face without feeling like the good Tao confused you. You also get a free version of the original Tao Te Ching–each original verse is pasted below the Dudeist version so you can see how closely Dudeism resembles Taoism. Note: An annotated version of Oliver Benjamin’s Tao Te Ching translation is now also available at daoism.org. The old ebook version of this is free as well.